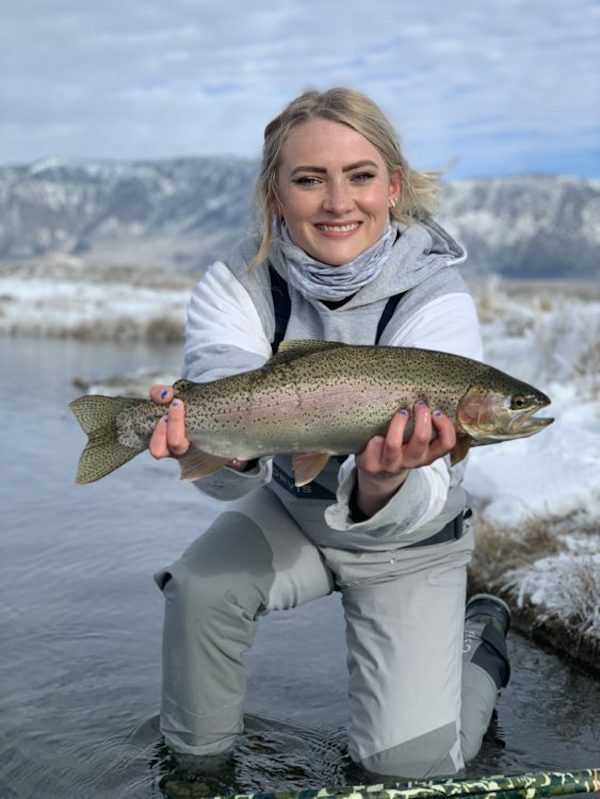 Hanzo got Hailey Barrett on this chunky monkey rainbow! 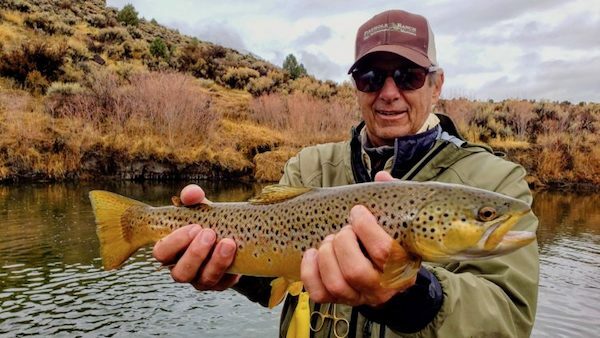 With very cold nights and lower flows, some larger rainbows and browns have moved up river. They are not concentrated in one area yet as they have really been on the move from day to day. Mornings have been extremely cold this past week, but the afternoon temperatures have been warming things up nicely. 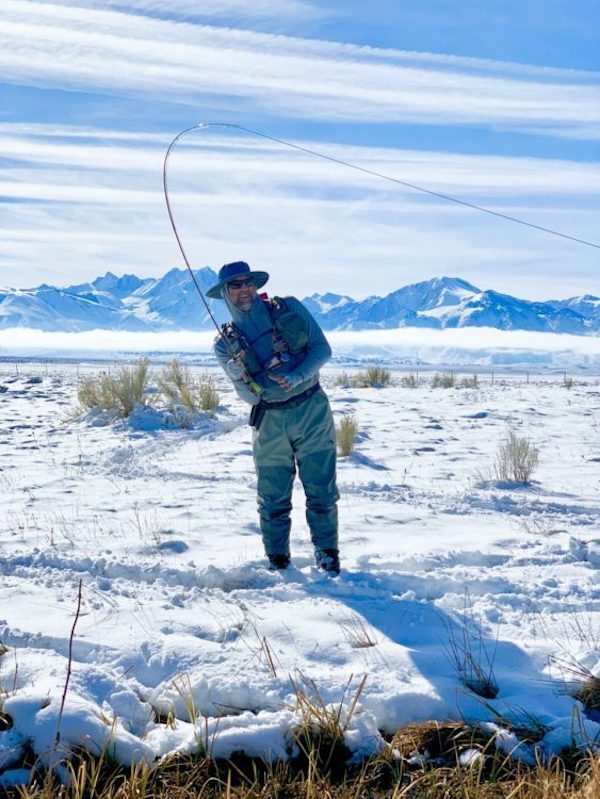 You will observe smaller fish taking small midges after the chill subsides in the mornings. Another solid storm should lay the foundation for the snowmobile rigs to navigate around on. The section from the Benton Crossing Bridge down to the fishing monument is now closed. Flows are now at 86 cfs. 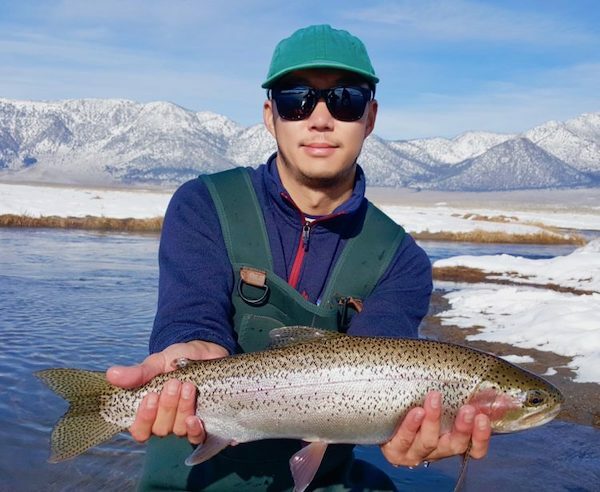 Crystal eggs, #14-16 San Juan worm red, #14-16 Level Crystal Leeches, #14-16 Parallel Assassin Dark and Light, and #16 Broken Back Copper Tiger Midge getting the most bites! 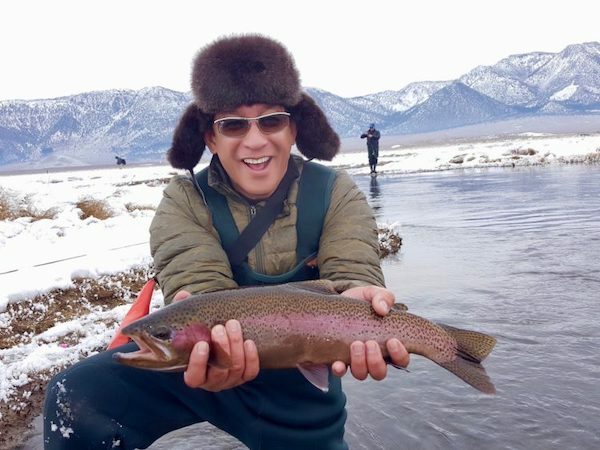 Gary Limjap spent the day with Two Bug Doug and pulled out a nice one! 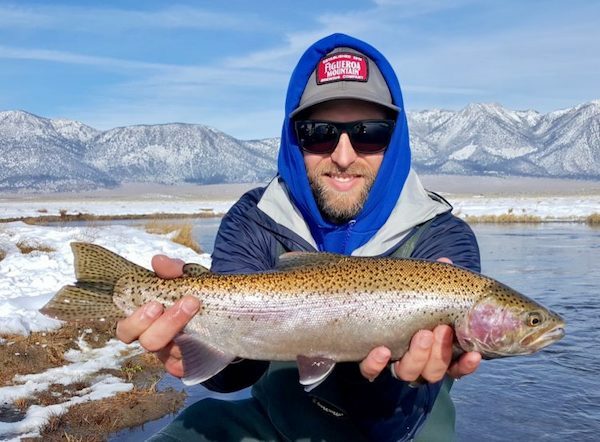 Jerry with another prize ‘bow! 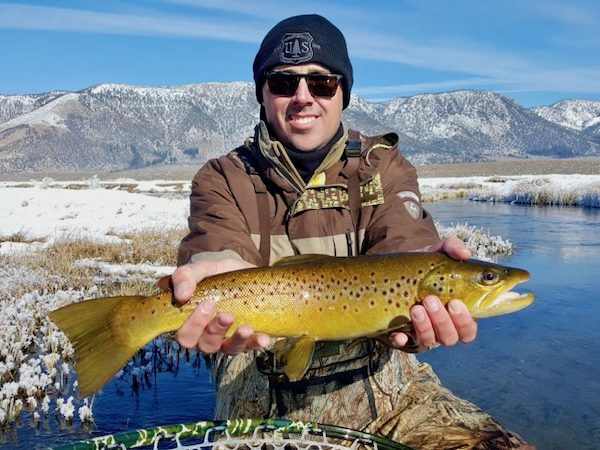 Check out this epic winter brown caught by Chris Denning while fishing with Two Bug! 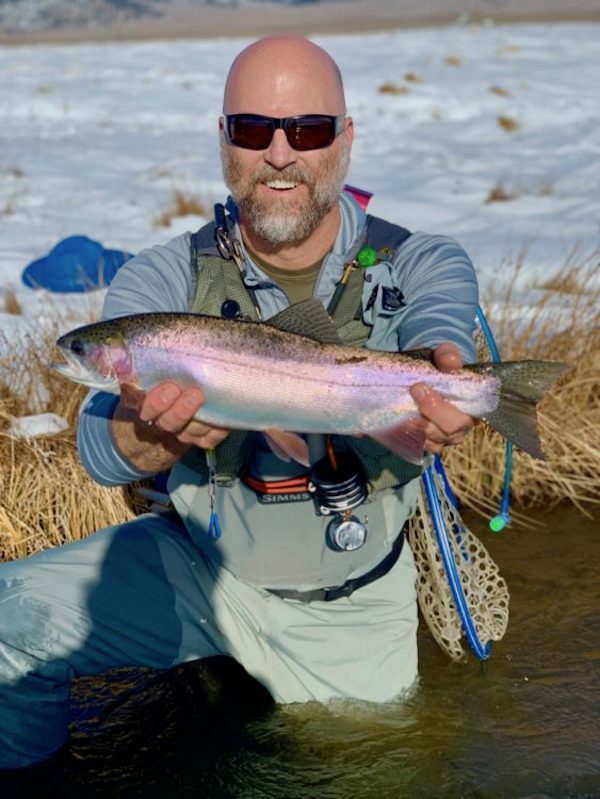 John Burdick got in on the action too with Doug Dolan! 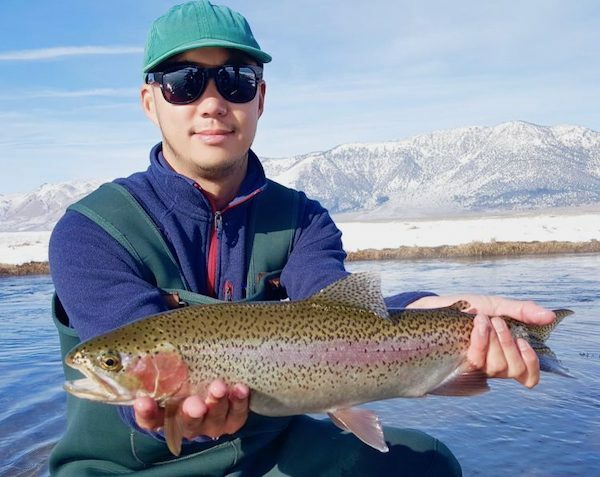 Jerry Lin fished with Doug Dolan and scored good rainbows! And Mark’s action shot of the battle! 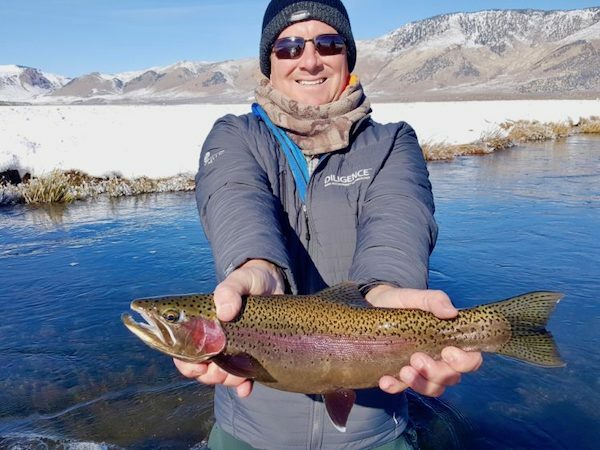 Doug Henry got into some winter steel with this rainbow while fishing with Two Bug! 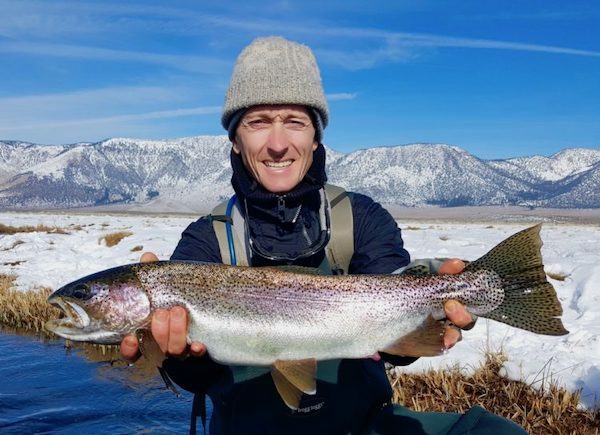 Alex Brown got some with Doug Dolan as he displays his trophy catch!